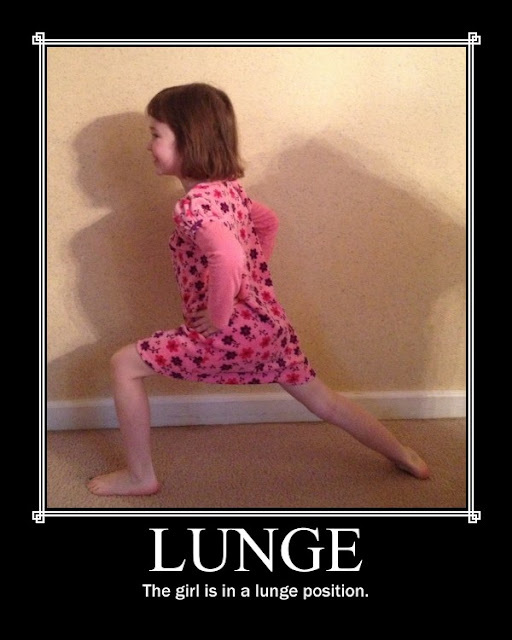 Mr. Chris and I have been doing an exercise program that instructs us to do different forms of a lunge. The kids think it is hilarious watching us twist, turn and bend our bodies to get ourselves into this position. One particular time we were struggling, I said to our daughter, "If you think it is so easy, why don't you try it?" And so she did it (as pictured above)...instantly. Kids are amazing with how flexible and durable they are.